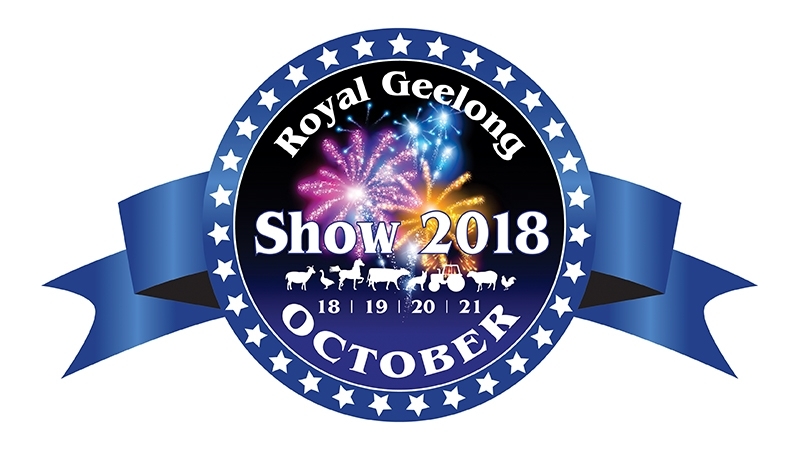 Join us at the Geelong Show on October 18-21 2018! Come join us for 4 days of fun starting October 18th. 1. Patrons are reminded and AGREE ACCEPT AND ACKNOWLEDGE that certain activities associated therewith (including, without limitation, support events) are dangerous and accidents can happen. Patrons are warned that there is a possibility of an accident causing injury, death or property damage or loss and attendance at the Event is at Patrons’ own risk. Patrons acknowledge that the risks associated with attending or participating in the Event include but are not limited to the risk of suffering harm as a result of moving vehicles or side show rides (or parts of them) colliding with persons or property. Patrons acknowledge that entry to and remaining at the Event has a degree of danger and, to the extent permitted by law (in particular sections 32J and 32JA of the Fair Trading Act 1999 (Vic) and section 74 of the Trade Practices Act 1974 (Cth)), hereby exclude, release and forever discharge the Royal Geelong and Agricultural Society, the Crown in right of the State of Victoria, the Minister administering the Act, Event Sponsors and all other persons involved in the organisation, conduct and promotion of the Event (Associated Entities) from all liability for claims, loss, damage, costs or expenses arising from any personal injury or death (whether arising from negligence (but excluding gross negligence) or otherwise), arising from or connected with Patrons’ participation in Recreational Services (as defined below) at the Event. including, without limitation, the on-site celebrations at the conclusion of the Event, participation in various amusements and interactive displays, the Associated Entities do not make any warranty that the Recreational Services at the Event will be provided with due care and skill or that any materials provided in connection with the Recreational Services will be fit for the purposes for which they are supplied. Patrons acknowledge that, to the extent that any warranty is implied it is excluded to the full extent permitted by law. WARNING: If you participate in these activities your rights to sue the supplier under the Fair Trading Act 1999 if you are killed or injured because the activities were not supplied with due care and skill or were not reasonably fit for their purpose, are excluded, restricted or modified in the way set out in this notice. NOTE: The change to your rights as set out in this notice, does not apply if your death or injury is due to gross negligence on the supplier’s part. “Gross negligence” is defined in the Fair Trading (Recreational Services) Regulations 2004. For the purpose of this clause 1 “the supplier” shall mean and include the Associated Entities. The Associated Entities will not be liable for any indirect or consequential loss suffered by you or caused by any acts or omissions of the Associated Entities, their directors, employees, agents and contractors arising out of or in relation to the Event. Nothing in this Condition 1 or these Conditions of Entry generally affects your rights under the Trade Practices Act 1974 (Cth), Fair Trading Act 1999 (Vic) or similar legislation regarding implied conditions and warranties. 2. RGAPS, with reasonable cause, may refuse entry to or remove any Patron from the Event. 3. Tickets are non-transferable on the day or during the day of presentation. Upon exit, the Patron’s hand must be stamped to regain entry on the same day. The stamp must be shown together with a valid Ticket clipped for that day to regain entry. 4. No Patron except the holder of a Ticket allowing entry to a reserved area or occupation of a reserved seat shall enter or remain in a reserved area or occupy a reserved seat. (p) any photographic, video or audio recording equipment RGAPS deems unacceptable for the purposes of Condition 14 below, which may include (without limitation) audio recorders, camera tripods, monopods or lenses with a total focal strength of greater than 300mm and digital video equipment. (q) use photographic, video or audio recording equipment in areas where such use is prohibited or as otherwise directed by RGAPS or its agents. 7. Any person who does not comply with these Conditions (in particular conditions 5 and 6) may be removed from the Event and have their Ticket and any object brought into the Event in contravention of these Conditions may be confiscated by RGAPS. Pursuant to the Major Events (Crowd Management) Act 2003 (Vic), any Patron who has been removed from the Event is prohibited from re-entering the Event for a period of 24 hours. 8. RGAPS may, at any time, inspect any vehicle, bag, basket or other receptacle or require a Patron to turn out their pockets. 9. Any consent given by RGAPS may be revoked by RGAPS at any time. If such consent is withdrawn, the Patron must immediately remove or hand to RGAPS the offending article or immediately leave the Event through the nearest exit. 10. Patrons must comply with all reasonable directions of RGAPS or its agents. 11. No representation is made to Patrons holding General Admission Tickets that there is space available in any particular viewing area. 12. Concession Patrons must show approved identification (State Government Seniors Card, Pensioner Concession Card or Full Time Student Card (including International)) to the Ticket seller and at the entrance to the grounds. 13. 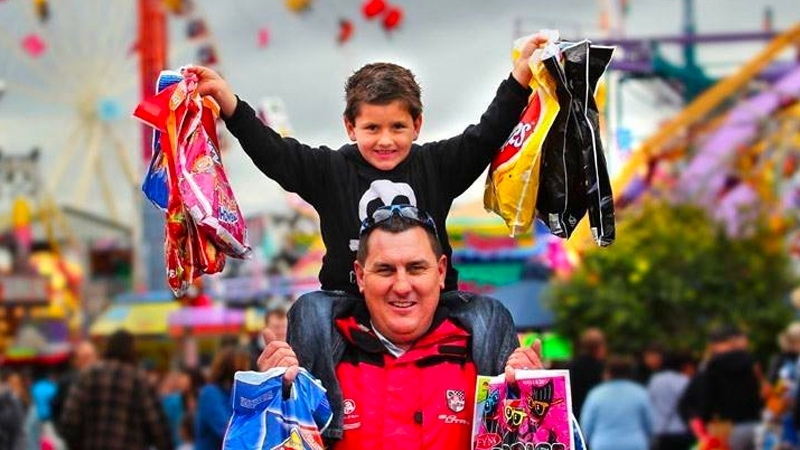 Patrons who bring children to the Event are responsible for the care, conduct and supervision of those children at all times and must keep those children within sight at all times. Children may not be permitted to enter certain areas at the Event for safety reasons as determined by RGAPS. 15. Patrons acknowledge that RGAPS and third parties authorised by RGAPS may make or record film, photographs or other forms of moving picture, still picture or any of them of the Event (including, without limitation, of Patrons). Unless the Patron otherwise reaches an agreement with RGAPS, each Patron hereby grants RGAPS and third parties authorised by them permission to use photographs, film, tape, or other images or likenesses of the Patron, in any media (including publication within or outside Victoria, Australia) and for any purpose without identification or compensation or payment of any kind. Patrons can contact RGAPS (contact details in Condition 16) in order to reach such an agreement. 16. RGAPS collects personal information about Patrons which is necessary for it to operate the Event and to help promote the Event and subsequent events and related and similar events. In particular, RGAPS may collect the name, address and phone number of Patrons for the purposes of coordinating the viewing arrangements at the Event and of conducting research, marketing and promotional activities in relation to the Event and such other subsequent events. Unless the Patron otherwise reaches an agreement with RGAPS to the contrary, the Patron consents to RGAPS (and other third parties such as those mentioned in Condition 15) taking photographs, film, tape and other images or likenesses of the Patron and using them as described in Condition 15. A Patron can reach such an agreement with RGAPS by contacting RGAPS at the address below or by advising RGAPS at the time of collection. Also, Patrons hereby consent to the use and disclosure of their personal information (that is, other than personal information of the kind referred to in Condition 15) by RGAPS to research, marketing and promotional organisations for the purposes set out in the first paragraph of this Condition 16 unless the Patron otherwise notifies RGAPS by contacting it as described below. Unless Patrons advise otherwise, Patrons consent to receiving future promotional and marketing material from RGAPS, including via electronic messages (e.g. email, SMS etc). Patrons have certain rights to access their personal information held by RGAPS and can request access by contacting the RGAPS administration Officer at Geelong Show Grounds, Breakwater Road, Breakwater, Victoria. 18. Patrons acknowledge and agree that any condition of these Conditions of Entry which contravenes the law of the relevant jurisdiction will not be enforceable, however such conditions (or part or parts thereof) may be read down and are severable and do not invalidate the remaining conditions.